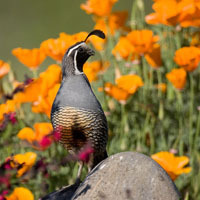 Throughout the year, the California Department of Fish and Wildlife offers hunt opportunities designed especially for new hunters, youth hunters, women hunters, mobility-impaired hunters and other individuals who have limited experience or opportunity to hunt on their own. 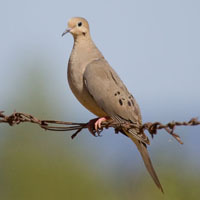 Application to wild bird hunts for dove, pheasant, chukar, quail and turkey is now done through the Online License System. View upcoming apprentice hunt opportunities. To start, click the “Login” button below. 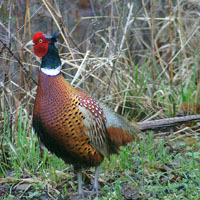 Effective July 1, 2016, nonlead shot will be required when taking upland game birds with a shotgun, except for dove, quail, snipe, and any game birds taken on licensed game bird clubs. Effective July 1, 2015, NONLEAD AMMUNITION will be required when hunting on ALL CDFW Lands. Please plan accordingly. See the Department’s Nonlead ammunition page for more information. Please note: The Automated License Data System is used to verify valid hunting license information for all applicants. This system requires 24 hours for a new license purchase to be processed and to show up in the system. In order to successfully apply for any hunt within 24 hours of its application deadline, you should purchase your hunting license at least 36 hours prior to that deadline.